I don't know about you, but I love seeing all this color on such a beautiful arm above. This photo was taken by one of the AHOPE volunteers on their recent trip to Ethiopia. 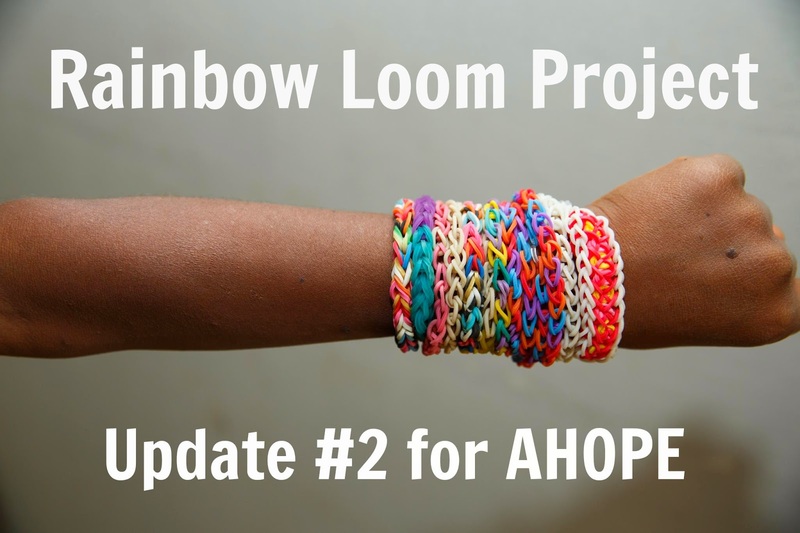 Apparently, all the children, teens, and adults loved the Rainbow Loom bracelets we sent from our project here. So many children from across the US and Canada sent bracelets as you know. 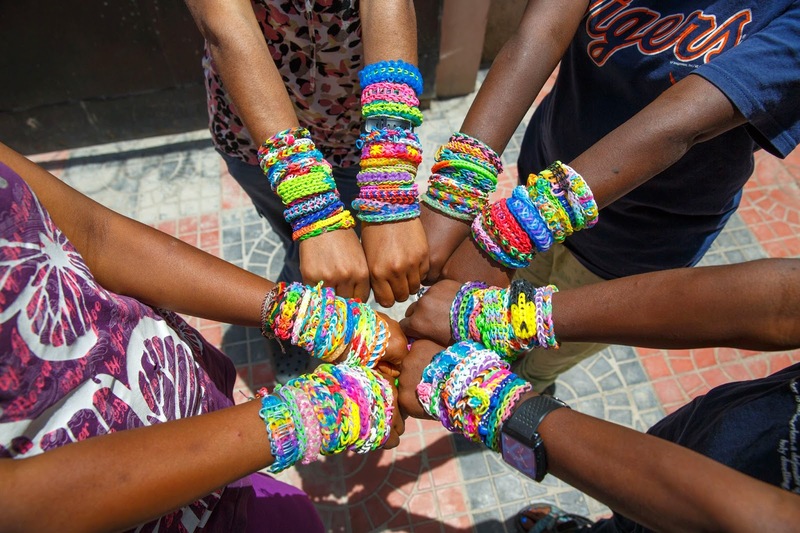 In fact, the total increased from 3,600 bracelets to over 3,800! And the total monies raised cleared $4,000. Yep, our kids, families, and assorted allies raised $4K. I'm forever grateful for your giving and I wonder what we will do next, collectively, to support orphaned children and teens living in Ethiopia with HIV. I suspect there is more for us to do. Let's move mountains together, yes?